Sometimes such features of a document management system as versioning, signing, approval, and acquaintance are not necessary, unlike simultaneous online work with a document. 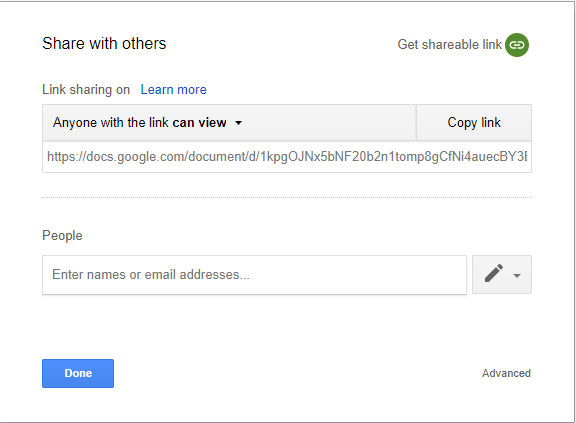 This feature is provided by Google Documents, where each user who has access to a document can edit it. Read only access can also be provided. 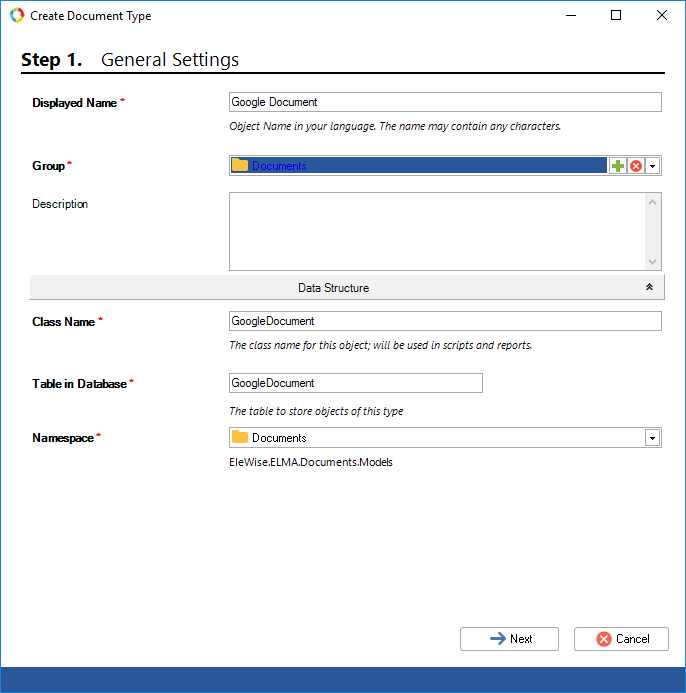 By creating a child document type of the Web Document, you can set up a convenient mechanism for working with Google documents right in ELMA. Create a new document type in the Designer. As the base class, select Web Document. 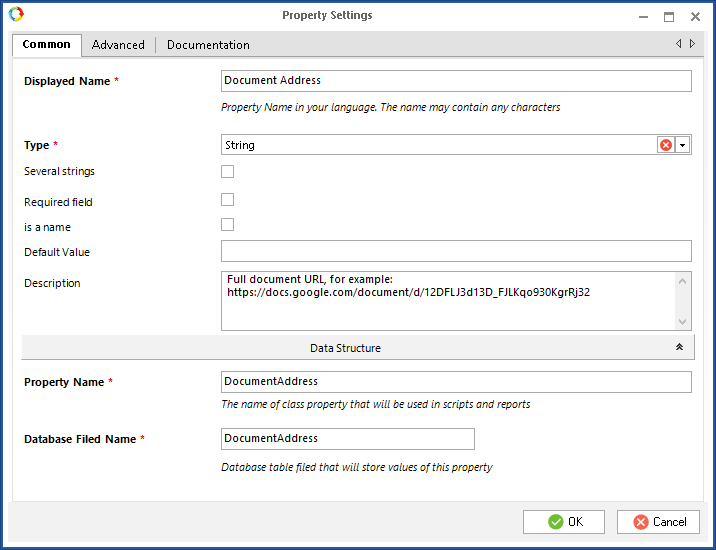 An additional attribute Document Address will allow storing the URL of the edited document in the system. As a document template, you can use "New document…". Add the document address field to the document creation form. Drag the attribute from the left panel to the form. 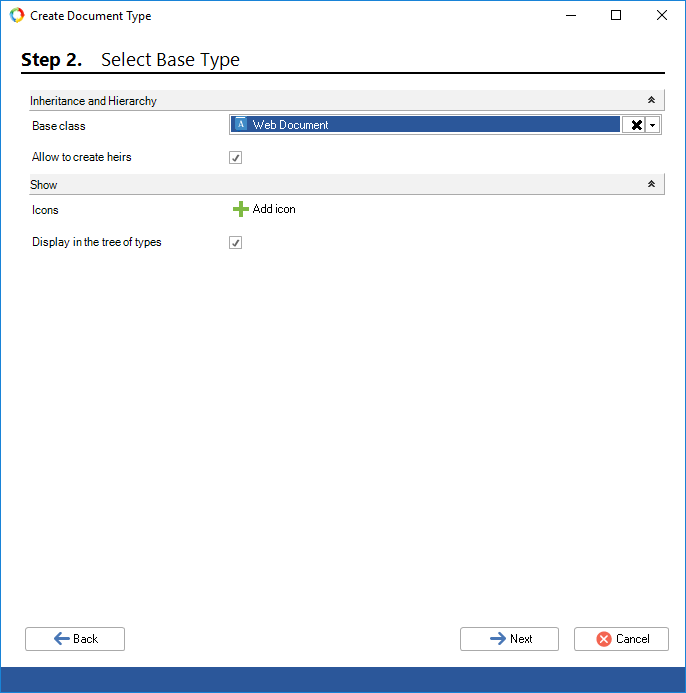 Creating and editing custom document forms is described here. 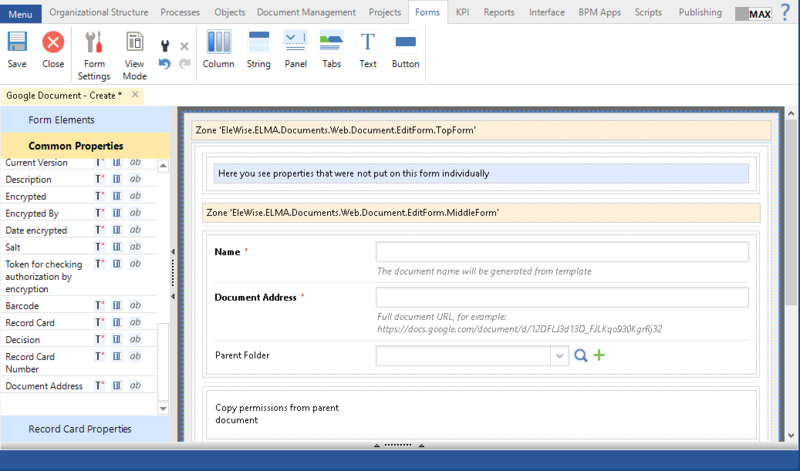 After publishing the document type and restarting the server, you need to add a template for the created document type. 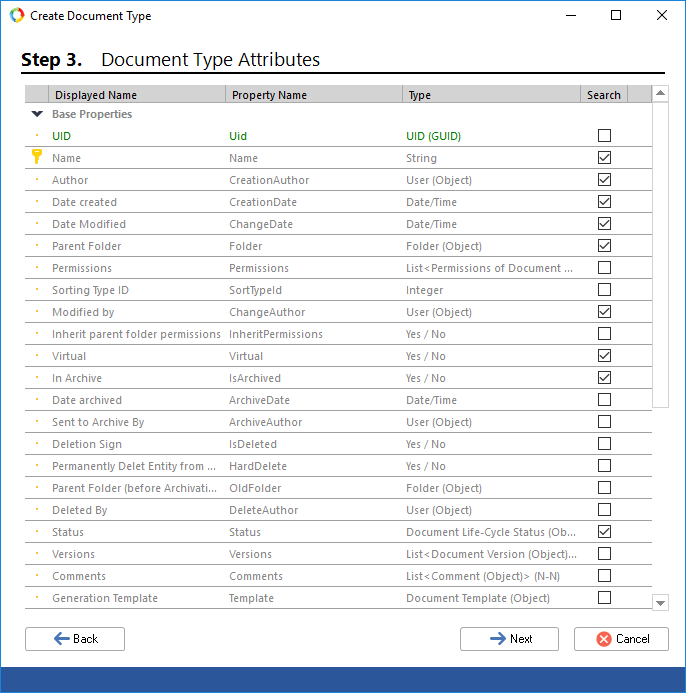 Go to Administration - Document Types in Web Application. 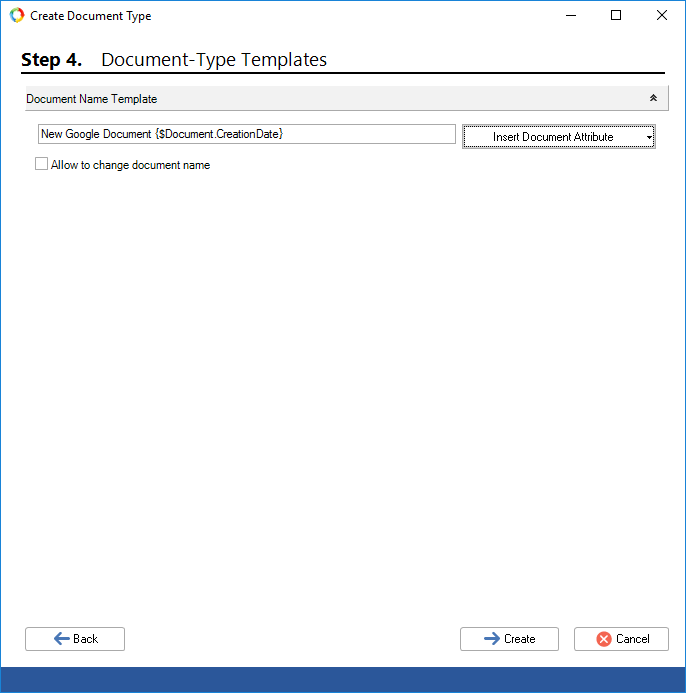 Open the document type and add a template on the Templates tab. 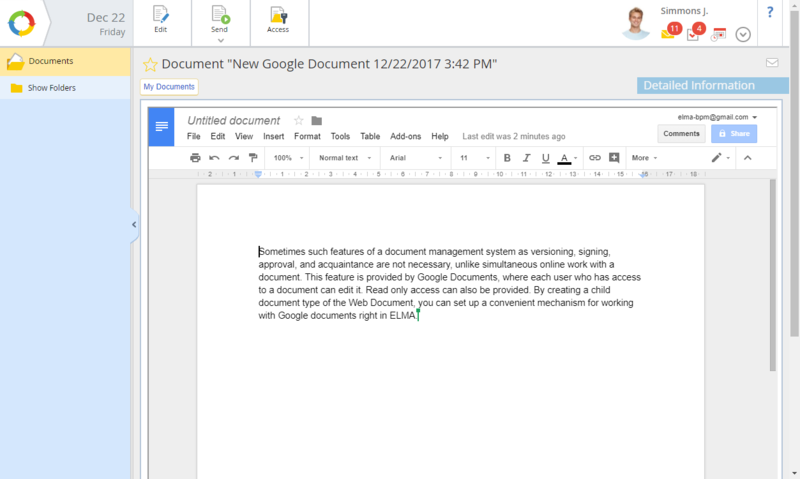 As the result, you will be able to edit the document right on its page in ELMA, in the same way, you would do it in Google. 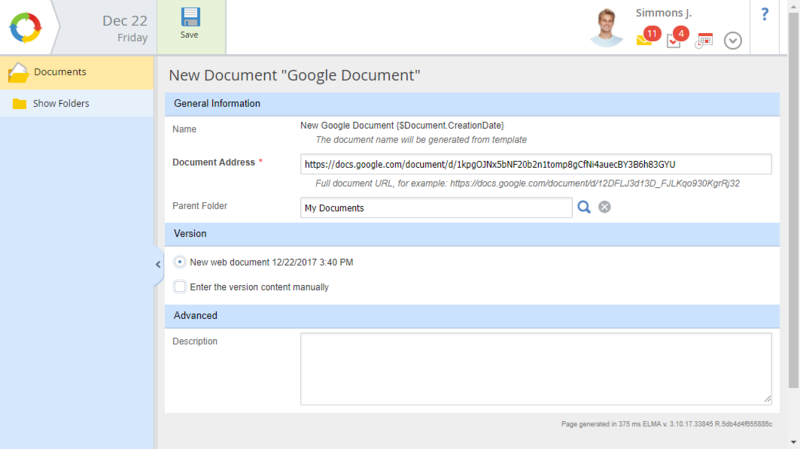 Access to the document is granted in the Google document settings.